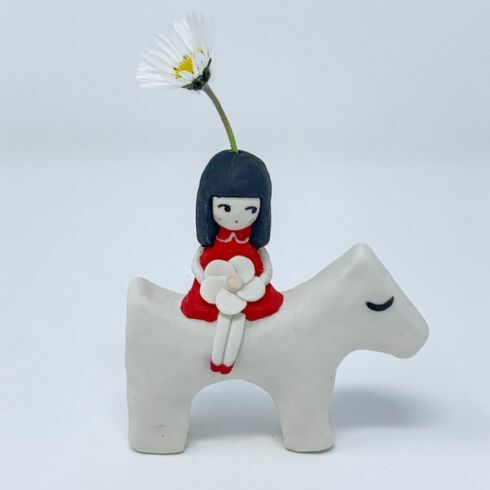 This wonderfully intricate tiny red doll riding dog by Hyeyoun Shin has been sculpted in porcelain and then glazed. The head is designed so that you can the doll with a dried flower (flowers not included). Size(s): 7cm x 7.5cm x 1.3cm approx.